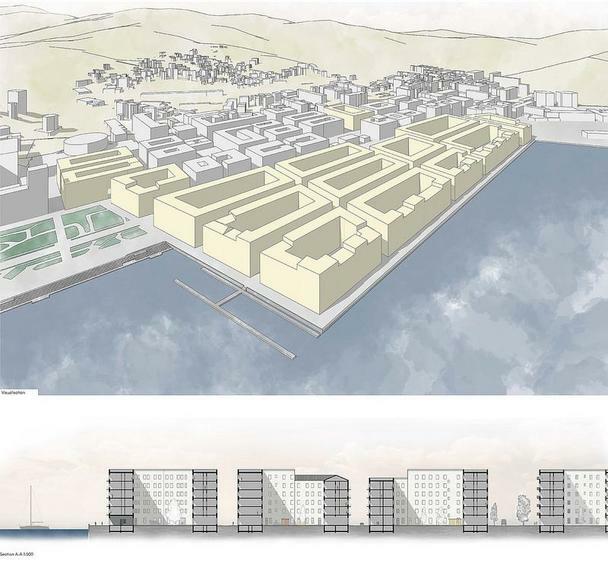 The Italian seaport of La Spezia has been living from the ocean for centuries, but the industrial use is blocking large coastal areas for the people. 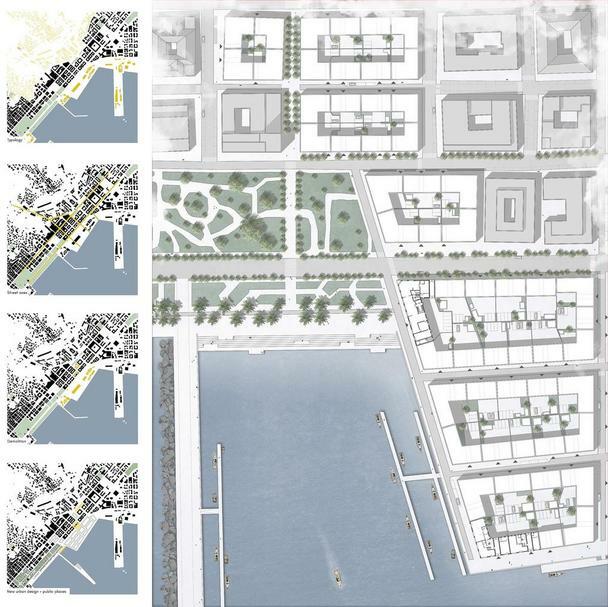 Our design provides for a stronger connection between city and sea, the central area of planning is a former container terminal. 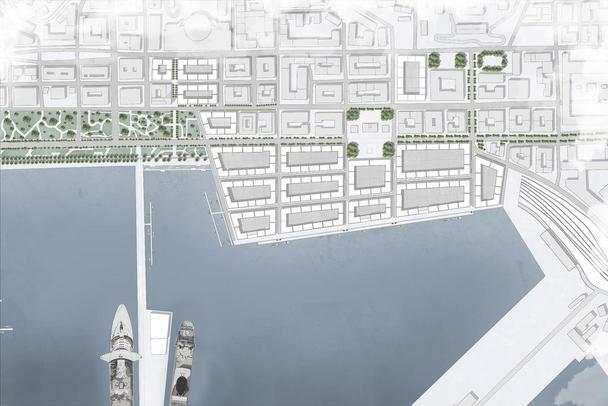 Here, an urban and lively district is to be created directly on the water‘s edge. 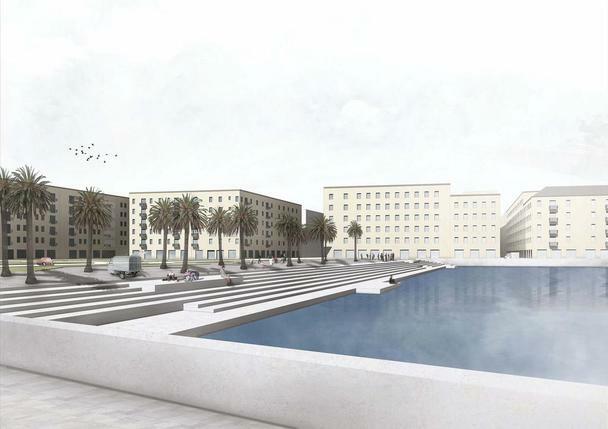 The cruise port will also be integra-ted into the city through the move to the Molo Italia. 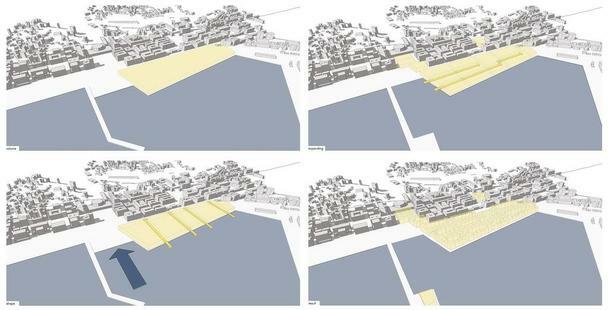 This creates a clear ending for the Passeggiata, reviving it as a promenade and connection to the naval arsenal as an attraction of the town. 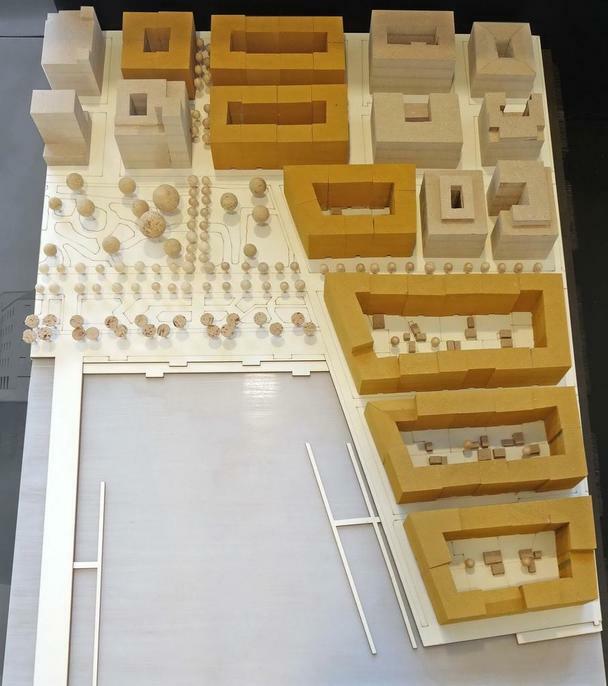 The newly planned area will be connected to the old city, and an overarching Piazza will allow old and new to grow together. 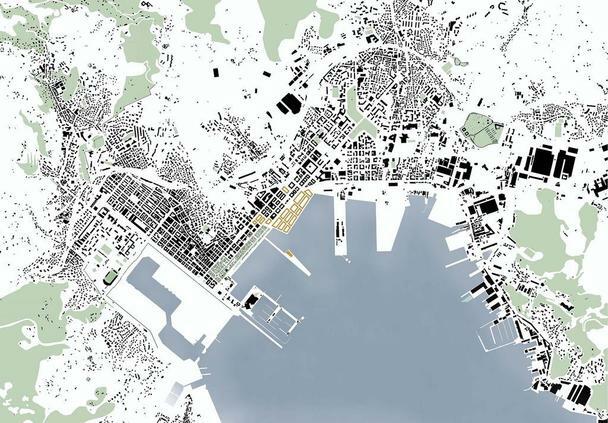 About that, the clear grid of the city structure is taken up and reinterpreted. 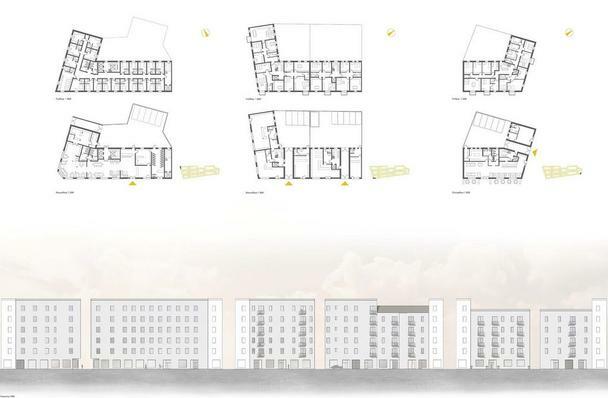 The residential building is also based on the existing typology, high blocks clearly separate the public and private space. 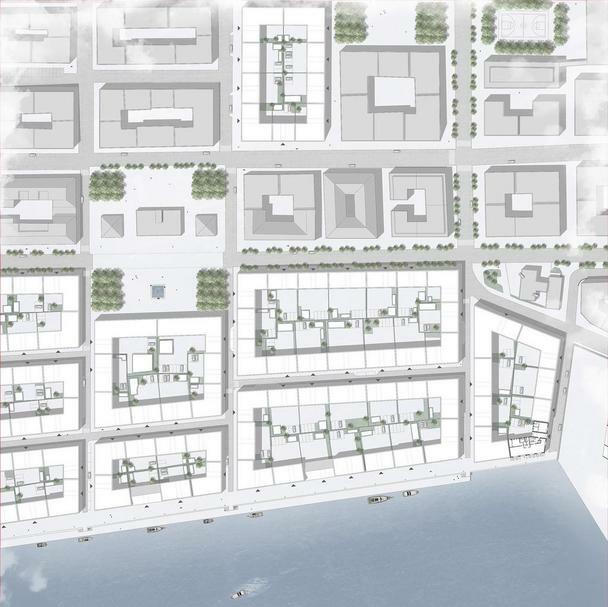 The residential and commercial buildings fit into the context and also the height differences on the waterfront reminds of the fragmented structure of Italian port cities.